The man who helped calm the nervous butterflies in many a public speaker, inventor of the teleprompter Hubert Schlafly Jr., died in Connecticut April 20. He was 91. Schlafly revolutionized the political and television landscape by allowing public speakers to face the camera and appear as though they were speaking from memory. The original device created by Schlafly was made up of a motorized scroll of paper inside half a suitcase. The idea was inspired by a Broadway actor named Fred Barton in the 1940s. "I said it was a piece of cake," Schlafly recalled to the Advocate of Stamford in a 2008 story on his reaction to Barton's idea. The device was first used on the CBS soap opera "The First Hundred Years" in 1950. President Obama is hailed by supporters as a gifted orator but he has been lambasted by critics for his reliance on the teleprompter. In truth, every President since Dwight D. Eisenhower, except Richard Nixon, has used one for major speeches before Congress. Although he created such a revolutionary device, he rarely used his own invention. In 2008, after giving a speech at his induction to the Cable Television Hall of Fame, he admitted that it was the first time he had ever used his device to help deliver a speech. Schlafly was a luminary in the field of television but finally retired in 1998. 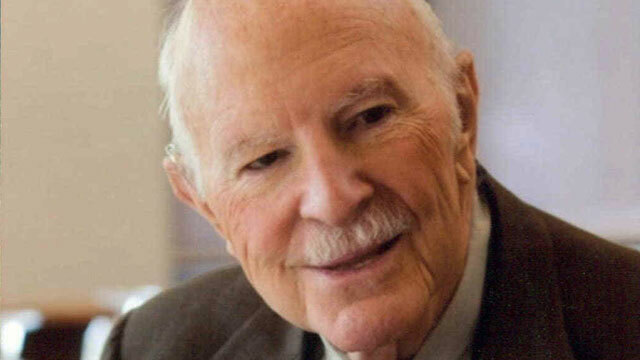 He had begun working in media as an electronics engineer at General Electric in 1941 before moving on to be a project engineer in the radiation laboratory at Massachusetts Institute of Technology. He then became the director of TV research at 20th Century-FOX Film Corp. in New York City before leaving in 1951 to found Teleprompter Corp.
ABC News' Z. Byron Wolf and Brian Canova contributed to this report.